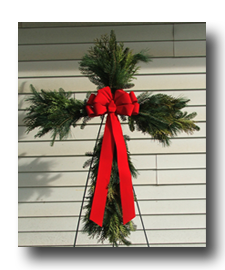 Cross: Keep “Christ” in Christmas this holiday season with a fresh Evergreen Cross. 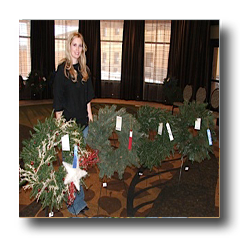 Made with fragrant Fraser Fir boughs and decorated with your choice of red or burgundy ribbon. 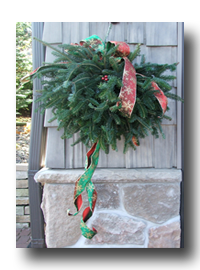 Swag: Decorate your door, light post, fence or stairway with a thick and full swag. 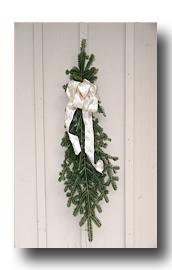 Made with fresh Fraser Fir, White Pine and Cedar and decorated with a red or burgundy bow. 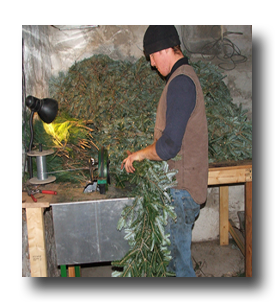 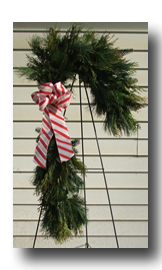 Candy Cane: Our fresh and fragrant Candy Cane wreath is made with your choice of Fraser Fir, White Pine, or Cedar. 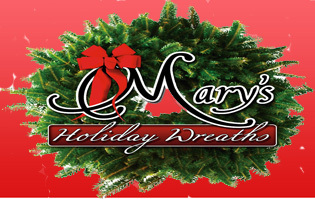 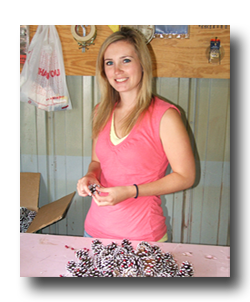 Each wreath is finished with a elegant red, burgundy or candy cane bow.